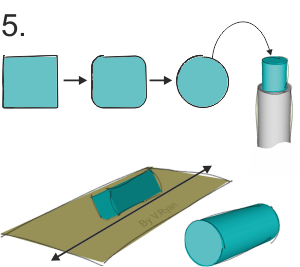 Instruction sheets are usually composed of drawings / photographs and written instructions. They are used to explain stage by stage, how something works or how something is put together. A good example is ‘knocked down’ furniture. When a piece of knocked down furniture is order, it arrives a couple of days later, with instructions which should help the purchaser put it together. Instruction sheets must be constructed carefully, so that every stage is clearly described. 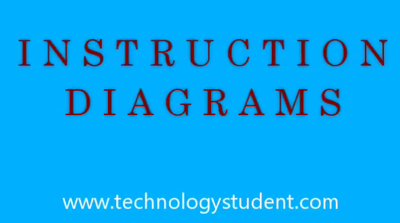 The text / written information should be as brief as possible and the diagrams simple. An instruction sheet is only considered successful, if it possible to follow and understand each stage, without difficulty. 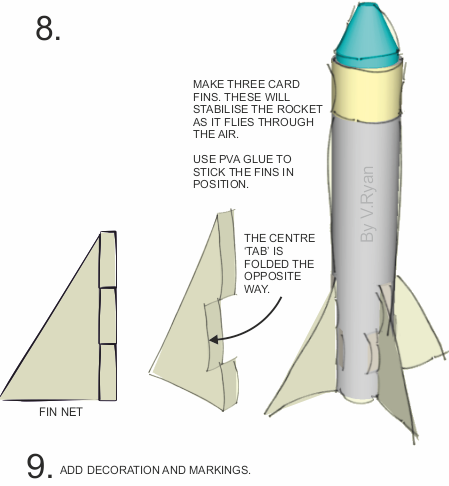 The instruction sheet seen below, has been compiled so that a child can build a pneumatic rocket, made from paper, card and styrofoam. Have a go at making one and test it out. This will help you determine the success of the instruction sheet. The neck of an empty standard plastic drinks bottle, fits into the plumbing waste pipe / overflow pipe. 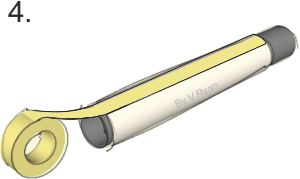 The paper / card rocket fits onto the opposite end of the waste pipe. 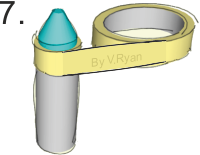 When a foot or similar weight is quickly applied to the bottle, the pressure of air forces the rocket off the pipe, high into the air. CUT 3 SHORT PIECES OF SELLOTAPE AND STICK THEM ON THE EDGE OF THE BENCH. STICK THE ROLL ON THE EDGE AS WELL. 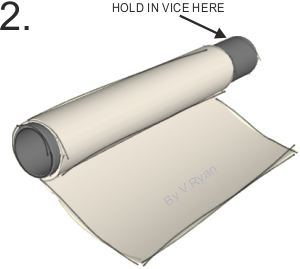 ROLL A PIECE OF A4 BLANK PAPER TIGHTLY ROUND THE PLASTIC TUBE. 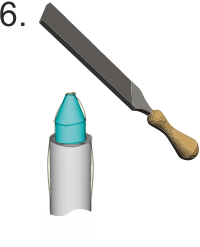 THE PLASTIC TUBE CAN BE HELD IN A VICE. 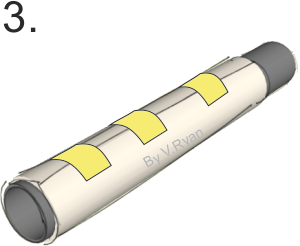 KEEP THE ‘PAPER’ TUBE ON THE PLASTIC TUBE. STICK 3 PIECES OF SELLOTAPE IN PLACE, TO HOLD THE ‘PAPER’ ‘TUBE TOGETHER. 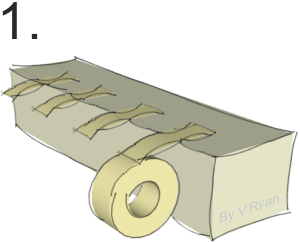 RUN ONE LENGTH OF SELLOTAPE ALONG / DOWN THE SEAM AND CUT TO SIZE. FILE / SAND THE SQUARE SECTION STYROFOAM, SO THAT IT IS ROUND. USE GLASS PAPER TO DO THIS. KEEP THE GLASS PAPER FLAT ON THE BENCH STOP (SEE BELOW). KEEP CHECKING THAT THE STYROFOAM FITS INTO THE PAPER TUBE, AS YOU ‘ROUND’ IT. USE A HAND FILE AND GLASS PAPER TO PRODUCE A ‘TIP’ RATHER LIKE A NOSE CONE. SELLOTAPE THE NOSE CONE TO THE PAPER ROLL.